Good morning and thanks for stopping by. Today I am honored and excited to announce that I was selected to be one of three new designers to join The Friday Mashup Challenge Blog! Today is my first challenge to join in with the other talented team members! Want to join in the fun? Lisa has come up with a fun challenge for us to play along with! Create a project with an "Embossing Folder Stamping Technique". Link Here. Create a project with "Mix & Matched Shapes". or Mash it Up! and create a "project using the technique with different shapes". One of my favorite embossing folders is the tiny triangles, so I knew it was my pic to use for stamping. I inked it up in real red and stamped it on whisper white cardstock. The layer across the front is just a simple piece of vellum. 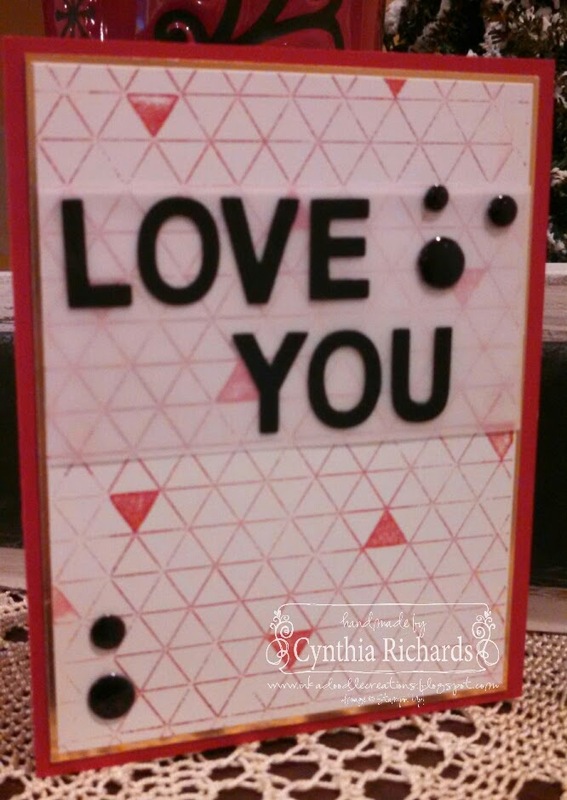 I cut out the letters to spell out "love you" in basic black cardstock using the little letters thinlits. I mash it uped by creating some circles with crystal effects and colored them black using a sharpie. 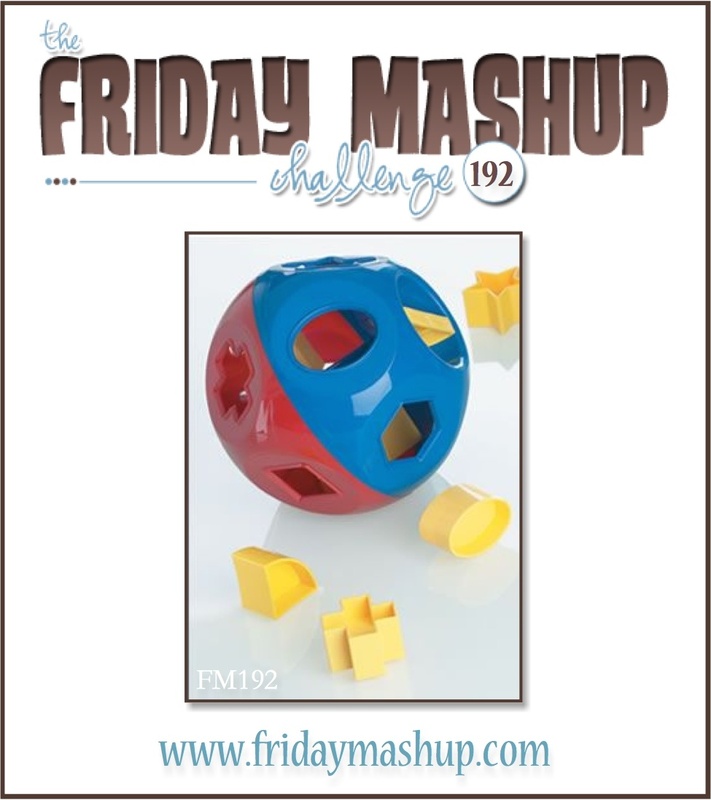 Thanks for stopping by and making my first day with The Friday Mashup special! Leave some "love" and come join us with our fun challenge! This came out great Cynthia! I love the vellum panel, what a great idea, and I totally thought your black circles were brads! So happy to have you on the team!